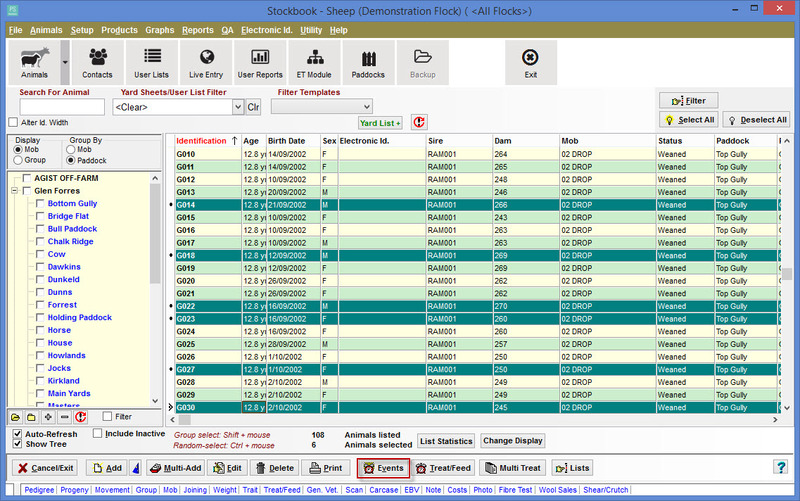 How do I add weights to animals within Stockbook? From the Current Animals screen, select the animals for which you wish to record a weight. Click on the Events button at the bottom of the screen. If you only want to select one animal, then just click on that animal. Click on the Weighing event. Enter all the relevent information. For a more detailed Help in regard to this screen, click on the on the bottom right section of this screen. Find the required animal on current animal listing. Click on the Weight blue tab. Weighing date in dd/mm/yyy format. Weight Type: every weight must be associated with a type for reporting and analysis purpposes. Select a type from the dropdown list. You may add a new type via the + button. 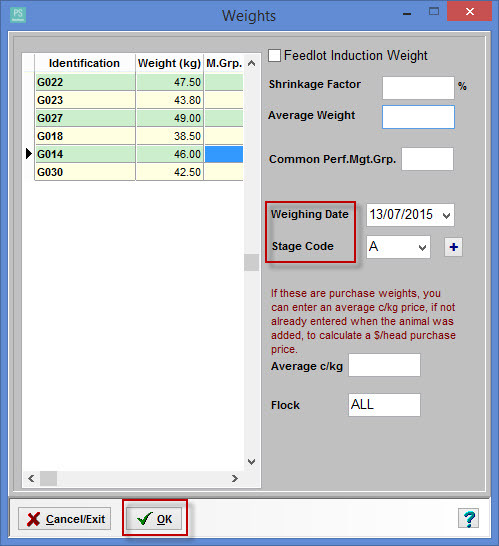 A management group for any animal that received special treatment prior to weighing. 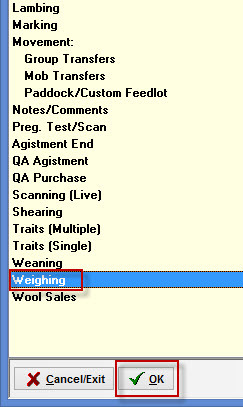 A shinkage factor, if required, so that the entered weight is reduced by the entered percentage when it is stored in the database. Click on the OK button to accept data, or click Cancel/Exit to abort the procedure.